Right, a shredded chicken thigh with mole sauce and sesame seeds. 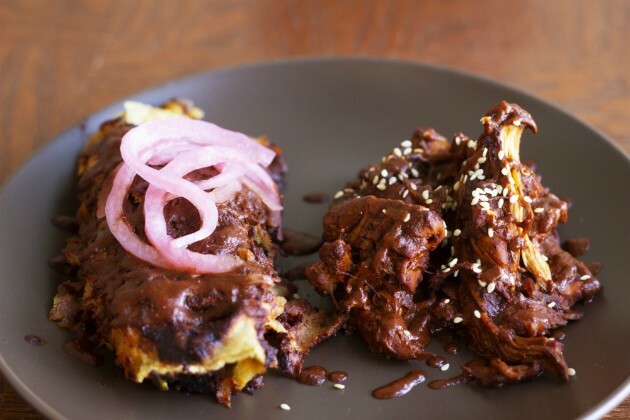 Left, vegan, gluten-free enchiladas topped with mole. The tenth anniversary of Kakao Chocolate's founding is coming up, and the business wanted to do something special. 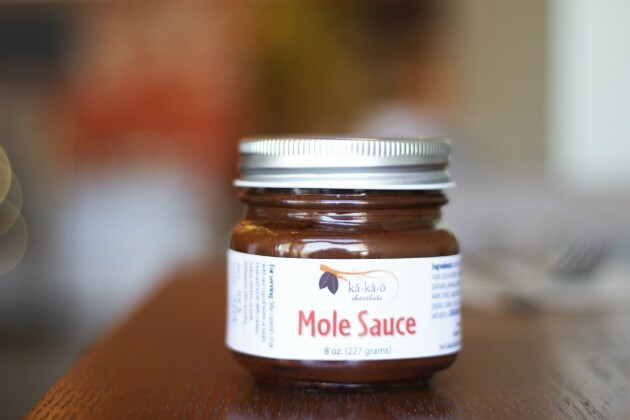 Instead of its traditional chocolate treats, the St. Louis chocolatier launched a mole sauce — a 28-ingredient version of the earthy, savory and very chocolate-y sauce used in Mexican cooking. 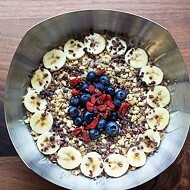 It can be used for everything from scrambled eggs to pulled pork. The sauce launched yesterday, April 18, and Kakao will be selling small mason jars and samples at the Tower Grove Farmer's Market and the St. Louis Earth Day Festival in Forest Park. After that, it will be in Kakao's two retail stores, followed by select retailers in the St. Louis region. The company expects serious demand, says Kakao found Brian Pelletier. "We're going to sell lots and lots of it," Pelletier says. "It's a different kind of flavor." Mole sauce is something new for a St. Louis manufacturer — and even beyond that, Kakao's is unique, with its own special recipe. "It's not a traditional Midwestern thing and that is one of the reasons why we wanted to make it at Kakao," Pelletier says. "People enjoy having fun and trying things outside the box." Pelletier began the chocolatier ten years ago this June. Starting off with a windowless basement and Pelletier as the only employee, Kakao now has two stores and 21 employees who help out with projects and products, including the mole sauce and the upcoming anniversary celebrations. One of those employees is Amanda Calvert, who developed the sauce. The mole is delicious, she says, and shouldn't be saved just for special occasions. "It can be eaten on a Tuesday. You can enjoy the wonderful sauce any time," she says. Kakao is working on a few more things for its ten-year celebration, including more experiments with their most popular caramel and chocolate products. The mole should kick off a full roster of projects, Pelletier says. 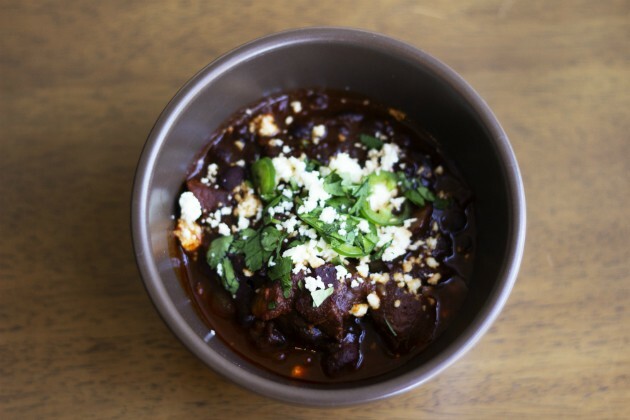 "Mole has always been one of my favorite foods," he says. "It's a really great thing and really complex. It's a really unique product."